Vidgle - Tag Archive for "setsucon"
Enjoy the sights of a day in the snow mountains of Setsucon. 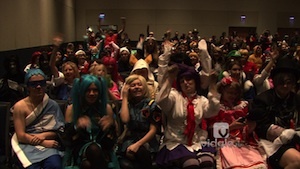 The Host Auction is one of Setsucon’s greatest tradition. 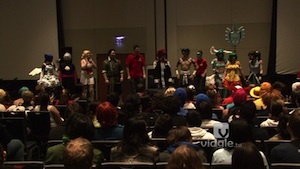 Setsucon staffers will dress up as their favorite characters and perform in a skit for everyone in the audience. 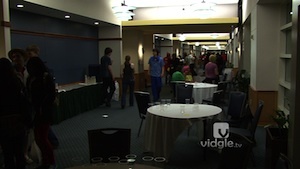 In our Setsucon tradition, Candice will talk to the judges and emcee of the Setsucon 2013 Cosplay Masquerade. 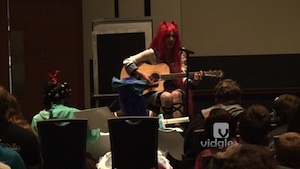 Watch the Setsucon 2013 Cosplay Masquerade skits and costume contest, in its entirely, hosted by Frank. 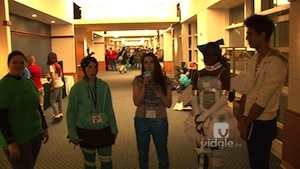 It’s Alicia and Candice’s first time at the Penn State’s Anime Club convention, Setsucon. Located in the snowy mountains of State College, PA, Alicia and Candice are going to explore to see how the convention is doing for its seventh run. 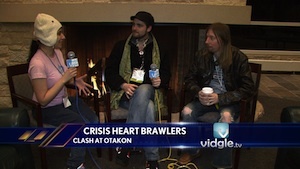 Alicia sits down with Taylor Hord and David Lister of Studio Nasu of their upcoming video game, Crisis Heart Brawlers: Clash at Otakon.